After the Summit between North Korea, South Korea and the US discussions on the Denuclearization of the Korean Peninsula have continued. The historic US-North Korea summit is having a great impact not only on the two countries but also on Northeast Asia as a whole. What is the reason for North Korea to rush to the denuclearization of the Korean Peninsula? What is the intention of North Korea? Dr. Jin will discuss the position of each country on the denuclearization of the Korean Peninsula and problems and prospects for Northeast Asian relations. 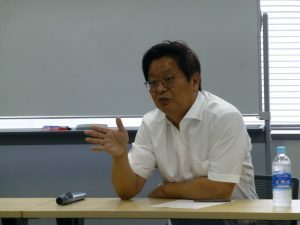 Dr. Chang Soo Jin, former President of the Sejong Institute, received his Ph.D. in Political Science from the University of Tokyo in 1994 and has been a Sejong fellow since 1996. Dr. Jin was a specially-appointed-professor at Hokkaido University from 2011 to 2012 and a visiting scholar at SAIS, Johns Hopkins University from 2010 to 2011. 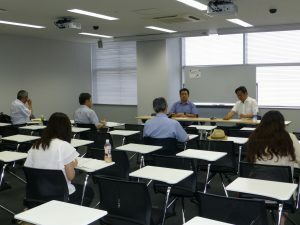 He has been a board member of the Comparative Politics Committee of the Korea Political Science Association and director of the Contemporary Japan Association since 2003. He was the President of the Sejong Institute from 2015 to April of 2018.